SADF forces entered Angola and attacked SWAPO bases at Mongua, Oncocua, Henhombe and Heque. 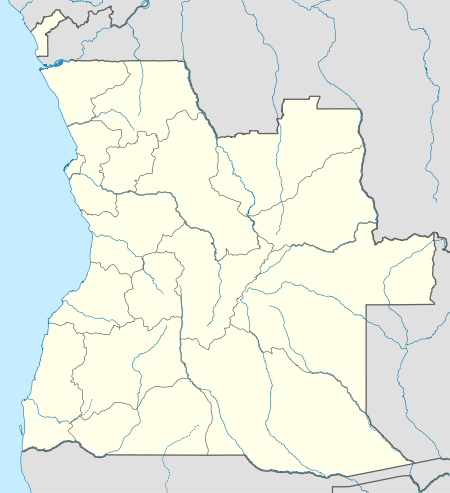 Operation Rekstok (Operation Horizontal Bar) was a series of South African raids into southern Angola on 7 March 1979 during the South African Border War and Angolan Civil War. :86 The operation lasted six days. Operating from Ovamboland, SADF forces entered Angola and attacked SWAPO bases at Mongua, Oncocua, Henhombe and Heque. :86 During the operation, a SAAF Canberra bomber was shot down, killing Lieutenant Wally Marais and Second Lieutenant OJ Doyle. The SADF conducted Rekstok concurrently with Operation Safraan and later performed Operation Sceptic. 1 2 Steenkamp, Willem (1989). South Africa's border war, 1966-1989. Gibraltar: Ashanti Pub. ISBN 0620139676. ↑ Hamann, Hilton (2001). Days of the Generals. eBook. Chapter 4.